When we moved to New York in 2010, I had to start over with stocking my pantry and refrigerator. With the exception of my stash of really good chocolate that made the trip with us, I had nothing. I promised myself from the start that I wouldn’t stockpile ingredients, as I had been prone to do in our much bigger kitchen. 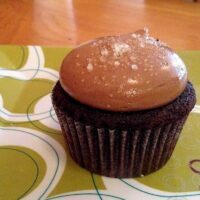 But, there are a few things that I always have on-hand for spur of the moment baking. Besides the obvious things like butter, flour, and sugar that all bakers keep in good supply, I am never without cream cheese. It is on my short list of favorite ingredients. It’s, of course, perfect for the obvious things like cheesecakes. But, it’s also a great addition to cookies and crusts and cakes and anywhere else I can justify using it. And, it’s a wonderful addition to bars. My latest cream cheese baking adventure involves plenty of oats and butter, along with a kick of cinnamon. By the way, this has to be the easiest cream cheese filling ever. It’s just cream cheese, condensed milk, and vanilla. How great is that? The crust and crumble are a bit different from similar recipes I’ve made. They have cinnamon chips mixed right into the crust! The flavor is not quite as bold as if I’d used ground cinnamon. I know that cinnamon chips can be tough to find. If they aren’t available for you locally, you can order them from King Arthur Flour and Nuts.com. 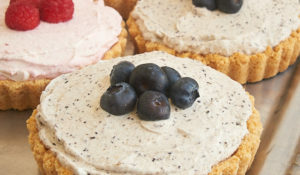 You can also easily substitute another type of baking chips in the crust and crumble. 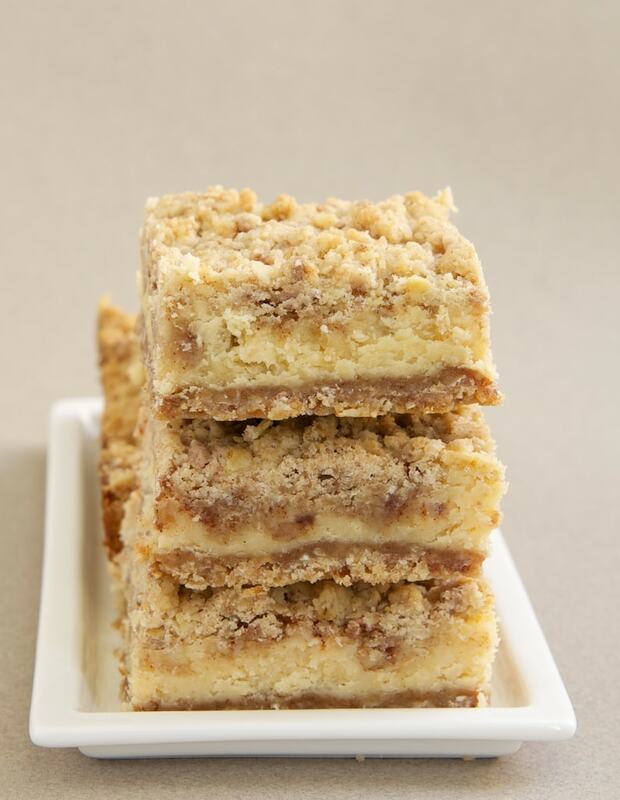 The original recipe for these bars uses butterscotch chips instead of cinnamon chips. 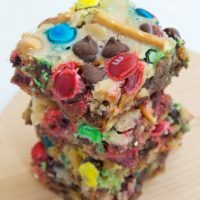 I would love to try these with peanut butter chips, or maybe a peanut butter and chocolate chip combination. You could also replace the chips with nuts or dried fruits. 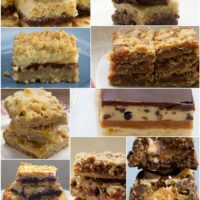 Regardless of your flavor choice, these bars are a wonderfully sweet treat. All of those oats in the crust and crumble add quite a bit of significance to the top and bottom layers. 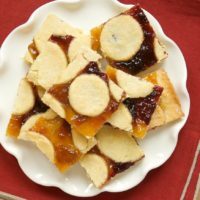 I cut these into 2-inch squares, but smaller bites will go a long way, too. Preheat oven to 350°. Line a 9″x 13″ baking pan with aluminum foil or parchment paper, so that the lining overhangs on the two short ends. Grease the lining. 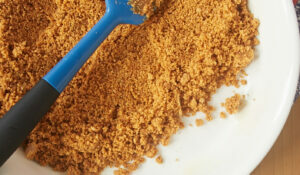 Place the flour, oats, and brown sugar in the bowl of a food processor. Pulse to combine. Add butter and cinnamon chips, and continue pulsing until the mixture is well combined and holds together when pinched. Set aside half of the mixture. Transfer remaining mixture to prepared pan. Press evenly into the bottom of the pan. Bake 12-15 minutes, or until the crust is golden and just set. Cool completely. Using an electric mixer on medium speed, beat cream cheese, condensed milk, and vanilla until smooth. Pour over cooled crust and spread evenly. Sprinkle remaining crust mixture over the cream cheese mixture. Bake 40-45 minutes, or until top is golden brown and bars are just set. Cool to room temperature. Then, cover and place in refrigerator for about 2 hours or overnight. Use the overhanging lining to remove the bars from the pan and onto a cutting board. Use a sharp knife to cut into bars. I always seem to have cream cheese too! You never know when you may need some icing, especially for cinnamon buns! These look amazing. 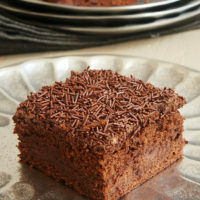 I have got to make some of them just as soon as I can get my hands on some cream cheese and condensed milk! When in NYC, you just have to have a stock of cream cheese! All those bagels need it! I love cream cheese on everything too, these bars look delicious! Being without cream cheese feels just about the same to me as if I ran out of butter! These look fantastic and you can never go wrong with sweetened condensed milk PLUS cream cheese HELLO!!! yes, please! Cream cheese isn’t something I usually keep in stock, but I like have a variety of sugars, yeasts, and salts. It can get real ridiculous real quick! These look amazing! I carried 4 pounds of butter onto the plane when I moved to NYC. I mean, it’s butter! I can’t throw that away! 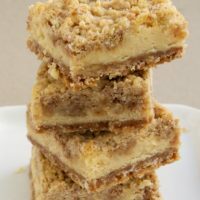 It is almost like a coffee cake-bar. I’m thinking of trying toffee chips. This looks delicious. I pinned it. I need to take a note from your book because cream cheese is the one thing I never seem to have around when I need it! And it’s such a shame because I love it so. These bars, with the cinnamon cream cheese blend sound amazing. Cream cheese is great in a lot of savoury recipes, too. Especially dips. I buy the three pound brick at Costco, then break it up into 8 ounce pieces, put them in a zip top bag, and freeze them. Saves me a bunch of money. Can’t wait to try this recipe. 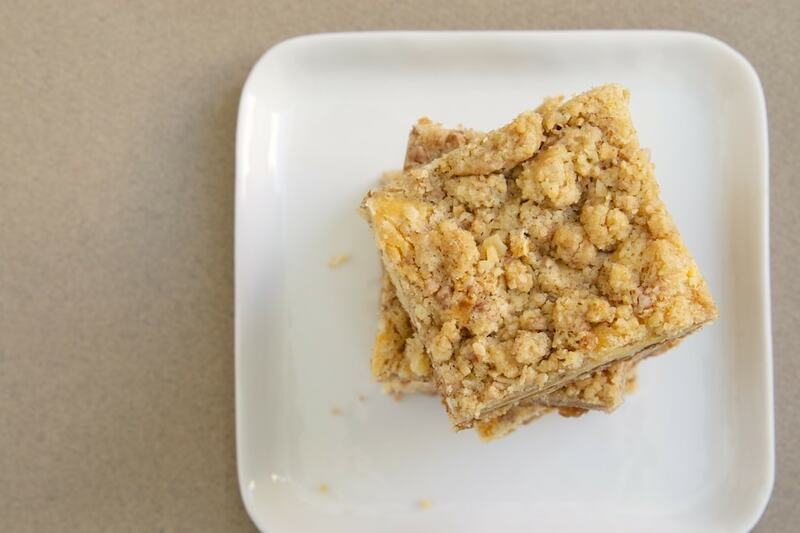 These bars look amazing – and the oats cancel out the butter, cream cheese and sugar content. True story. Yum, makes me think of oatmeal cookies and cheesecake all in one. I hate when I run out of: butter and cream cheese. Those two are hard to replace and jazz up with something else. LOVE the oatmeal cookie addition! I love oatmeal bars. yum! This is the fourth post, of your website I personally checked out. 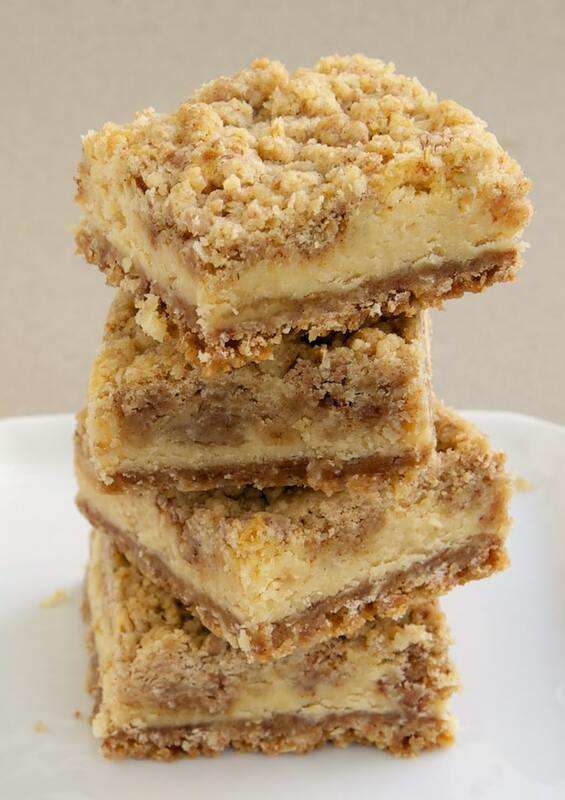 Oatmeal Cream Cheese Bars” the very best. Where in NYC can anyone find cinnamon chips? Have been EVERYWHERE in Manhattan (I have no car, so I’m limited to my home borough) with NO cinnamon chips. 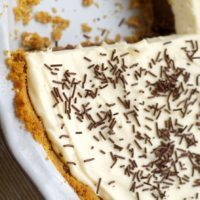 I feel that cream cheese and condensed milk are underestimated ingredients – glad to see this has both! Wow, these were delicious! My husband I both loved them, thanks for the recipe. These are awesome!!! LOVE the cheesecake and oatmeal together. Definitely making these! They look amazing!!! I am right there with you about cream cheese! It is just so perfectly awesome. Will try these bars, I’m sure I won’t be disappointed. I am SO SO BUMMED. Spent a lot of time and ingredients making a double batch of these. I am not sure what went wrong, but they are awful. Dried up and burnt on the bottom. What did I do wrong? Any thoughts? Maybe it was too much to pre bake the bottom before baking the rest? Will baking using the bottom rack of the oven cause this? So bummed. Was going to be our New Year’s day dessert this afternoon…. Hi, Gretchen. Baking on the bottom rack puts whatever you’re baking closer to the heat source, so that is likely the problem. Unless it is stated otherwise in a recipe here, I always bake in the middle of the oven. From Canada. We don’t have cinnamon chips here. Can I just use cinnamon ? Sasha, omitting the chips would alter the texture of the crust. If you don’t want to substitute another kind of baking chips, then I would make a different crust. A graham cracker crust flavored with cinnamon would work. Then, you could add cinnamon to the filling. Sickly sweet. Not doing that again. A total waste of ingredients. 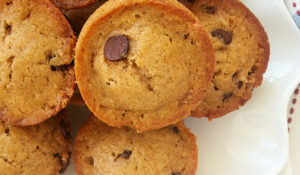 Can I substitute chocolate chips for cinnamon ones, which I can’t find yet? If so, shall I add vanilla along with cream cheese? Thank you! Hi, Rosita! Yes, you can use chocolate chips. I’d still add the vanilla. These were amazing! After I made them they look really crumbly so I was afraid they would be dry… But they weren’t! I would definitely make these again. Do you think this would be ok with raisins in the crust? Like an oatmeal raisin cookie? 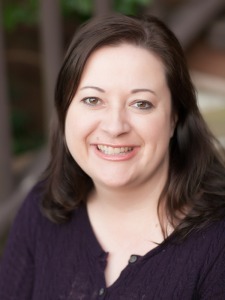 Hi, Allison. I’ve not tried that, but raisins aren’t my thing. My best guess is that it would work. I would add them after the crust has been mixed in the food processor.